I can’t help but to share two beauty secrets with those who wants to look great and feel good for the upcoming festive seasons, like Christmas and New Year. A lot of us, especially ladies, are always fighting against the signs of aging. To see if aging has set in, just look out for signs like sagging face, water retention, droopy eyes or dark circles and/or dull skin complexion. If the hair is thinning too, it will also add some age as well. 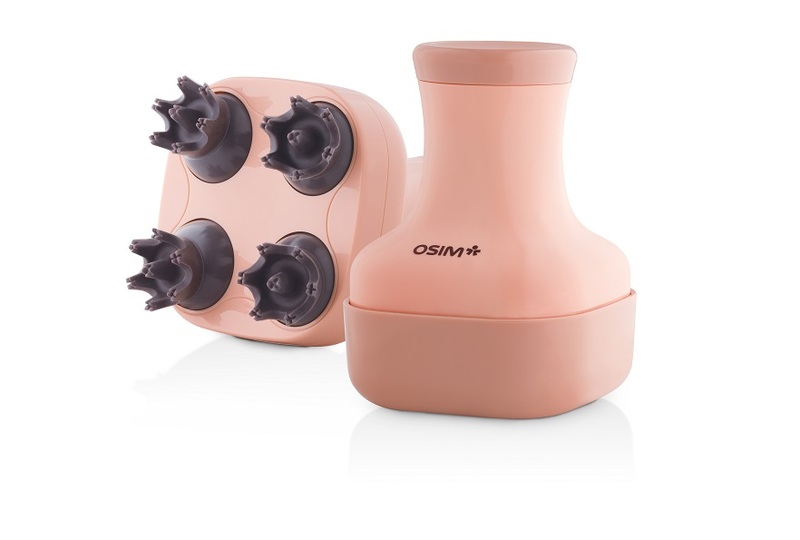 My two beauty and health secrets are OSIM’s latest massagers – OSIM uGem 2 Beauty Massager &amp; uScalp Scalp Massager! Burning midnight oil to finish my work, on top of writing blog posts, is making me look tired and taking a toll on my face as well. 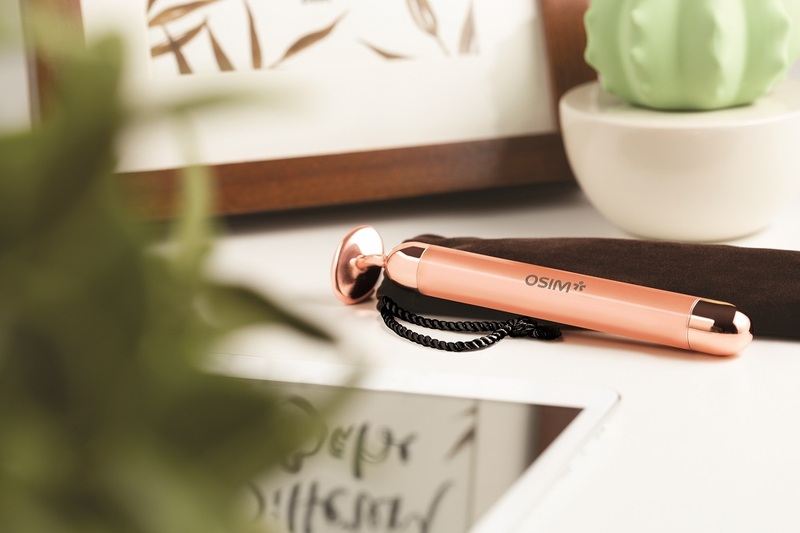 To get myself picture ready anytime, I use OSIM uGem 2 Beauty Massager to help bring out a sculpted v-shaped face and a gorgeous glow, so that I won’t ever need any beauty apps to edit and “slim’’ my face in the photos. What I usually do after I washed my face, I apply my favourite lotion, usually firming type of lotion and just use OSIM uGem 2 Beauty Massager to do a OSIM massage to achieve firmer, v-shaped face in just 5-10 mins a day! Check out my result in just one usage! I only used OSIM uGem 2 Beauty Massager on one side of my face (that side which i pointed at) and see the difference. That side of my face is instantly lifted up compared to the other side which I didn’t use OSIM uGem 2 Beauty Massager. It also looked slimmer due to the lifting effect. Amazing right? OSIM uGem 2 Beauty Massager helps in better absorption of the lotion due to its micro vibration of 6000pulses per minute. I even did a test on my hand to see how effective OSIM uGem 2 Beauty Massager is. The photo below shows my hand before the test. Afterwhich I tested OSIM uGem 2 Beauty Massager on the part which I circled in white. Using OSIM uGem 2 Beauty Massager on my hand for 3 minutes to see if there would be any difference. Just take a look at how amazing the whitening result is! The part of my hand where I used OSIM uGem 2 Beauty Massager on, also looked less swollen. For V-shaped face- Firms and tones the skin for a more defined facial contour, achieving the V-shaped face lifting effect. Get rid of puffy face- Beauty Vibration massage helps to improve circulation, thus reducing facial water retention. Reduce eye bags- The uGem 2 reduces the appearance of eye bags, while relaxing strained eye muscles to give tired eyes a boost. Smooth out wrinkles and fine lines- Its flat and rounded massage head can comfortably and effectively smoothen out wrinkles and fine lines. Relieve headache- A soothing massage on the temples relieves stress and relaxes the mind. Leading a busy lifestyle means I don’t have much time to visit hair salons hence the next best option is to enjoy a salon-style scalp massage anytime using OSIM uScalp at the comfort of my home. 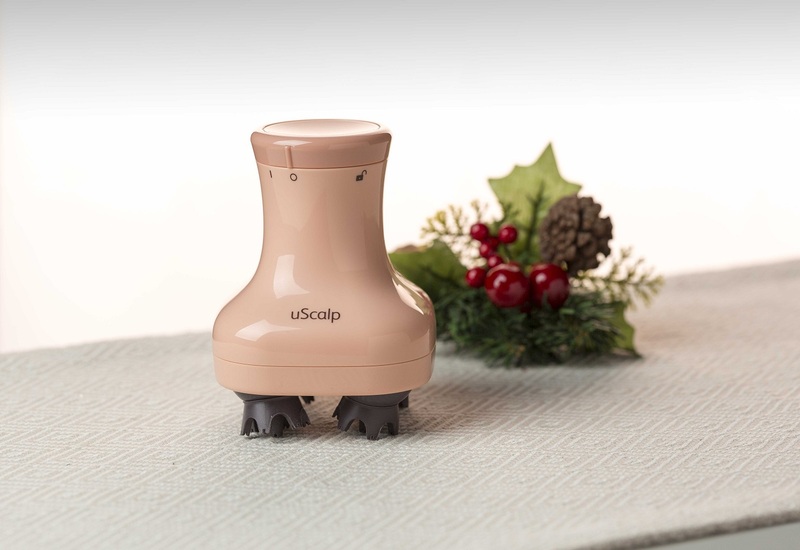 The OSIM uScalp has 4 detachable massage heads for easy washing and 28 mini massage nodes for scalp massage. It is easy to operate… simply twist the cover to begin the massage. At the same time, the ergonomically designed handle makes it easy to hold too. Massaging the scalp will create natural heat which helps open the hair follicles and pores of the scalp, which in turn allows better absorption of moisture. All you need to do is to apply hair tonic on the scalp(optional), cover your head with the shower cap and use uScalp to massage the head area to create the natural heat to open the hair follicles and pores of the scalp to allow better absorption of moisture. 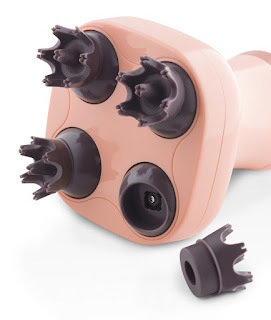 To know more about OSIM uGem 2 Beauty Massager &amp; uScalp Scalp Massager, click here. Even Ah Boys to Men 4 Cast are using the two massagers. Check out this interesting YouTube video. You can also check out OSIM SG Facebook page where you can find more information on OSIM uGem 2 Beauty Massager &amp; uScalp Scalp Massager. OSIM is now running a Christmas Exclusive promotion for these two massagers. From now till 31 Dec 2017, enjoy uGem 2 Beauty Massager or uScalp Salon-style Scalp Massager at an affordable pricing of only $99 each! (UP$149 each). Besides getting one each for yourself, you can also get them as presents for your loved ones! They are available at all OSIM Stores, Roadshows or Online Webshop at www.OSIM.com. Besides this, OSIM has put together a Christmas Collection where you can also choose other OSIM products to gift them for this coming Christmas. So if you are wondering what to get, check this out right now!